When I was asked to teach a workshop on journaling, I burst out laughing. It seemed that all I'd have to say is, "Get a blank book and start writing." What I didn't realize is that many don't know what to write about. I knew how I used my journal, but I didn't know how others used theirs. So I began to read various journals to see what people wrote about. 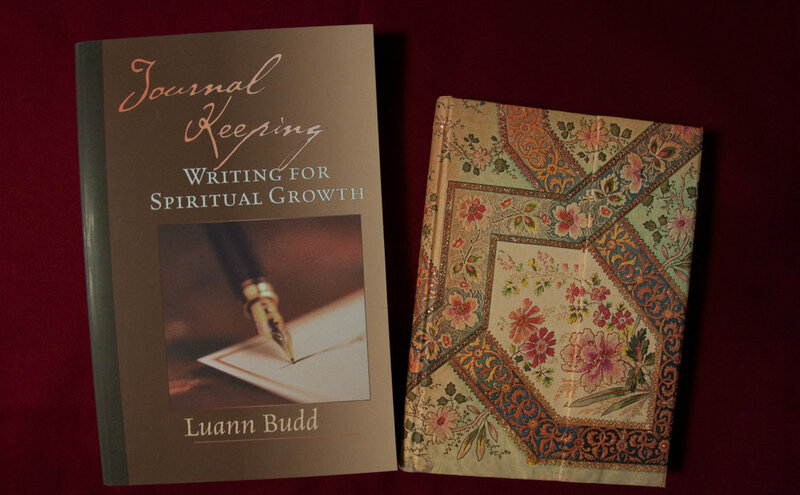 I taught the workshop, and was asked to provide handouts the next time, which grew into a book that explores the ways the Christians can use their journals for spiritual formation. 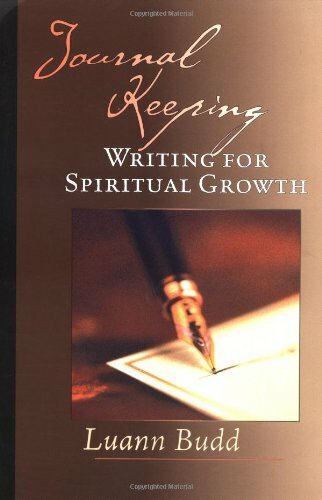 This book can help you discover the power of writing as a spiritual discipline. Each chapter is brief but insightful. I draw on my own life and writing to show how the ideas can be put into practice. And I provide examples and inspiration from the lives of great men and women throughout history who have kept journals. 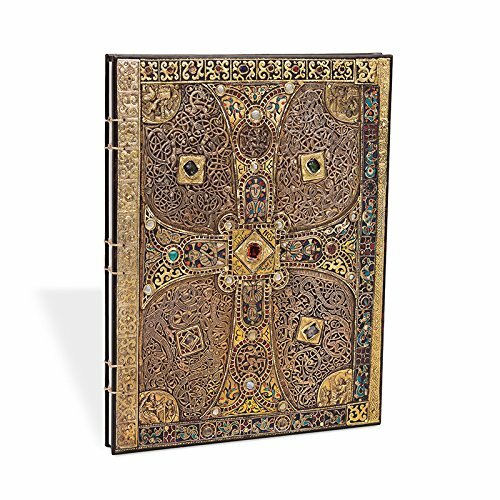 You can view the full line of PaperBlanks journals on the Hartley & Marks website. But to buy them, you'll need to shop on Amazon or in Stationary Stores. 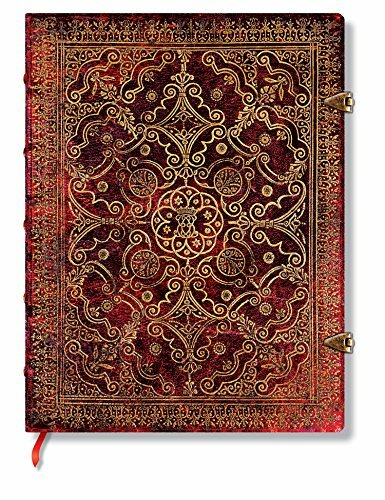 These are examples of some of my favorite journals from PaperBlanks/Hartley & Marks. They have a variety of styles and sizes. Most of ones shown here are 7 x 9 inches (Ultra). 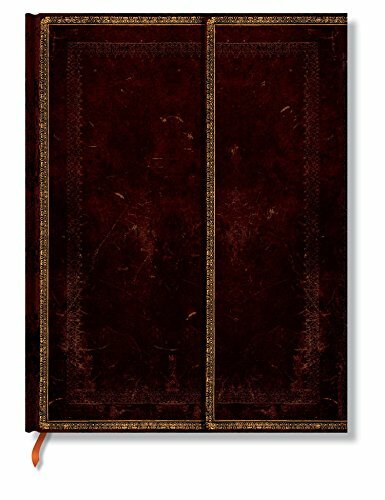 This is a my preferred size for a normal journal. Read more about the original Lindau Gospel from the Morgan Library and Museum and view the actual back cover. I also like something to keep my journal closed. Some have an elastic band which is fine. Some have a metal clasp (like the Carmine above), but I've found that they can be problematic. Now I prefer a journal that wraps (the back cover comes up and folds over the front) with a magnetic closure so that it stays closed. The Lindau Gospel journal above, and the two below, are examples of "wraps." 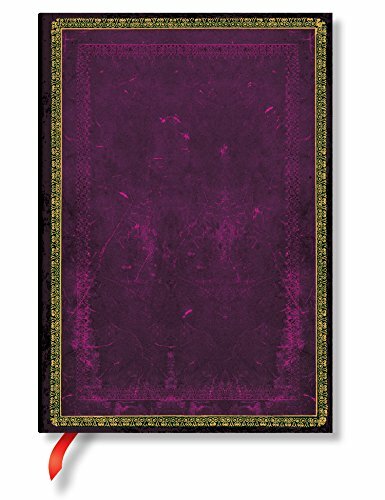 I like a smaller size if I'm creating a Prayer Journal -- this one is 5 x 7 inches (Midi). PaperBlanks come lined and unlined. The unlined option is great if you like to be creative in your journal. Binding matters to me. I'm not a fan of a spiral bound notebook because I get tired of laying my hand on the wire coil as I write. I like a binding that allows my journal to lay open by itself so I'm not fighting with the pages as I write. A hand-sewn binding is really nice--probably my favorite, but hard to find. I also like having a ribbon marker, so that if I have several sections going in my journal, I can easily keep track of where my next journal entry will be, or where my prayer list is. Please note: They call this journal "Old Leather Classic Cordovan", but that's the style, not the materials. It's does not have a leather cover. 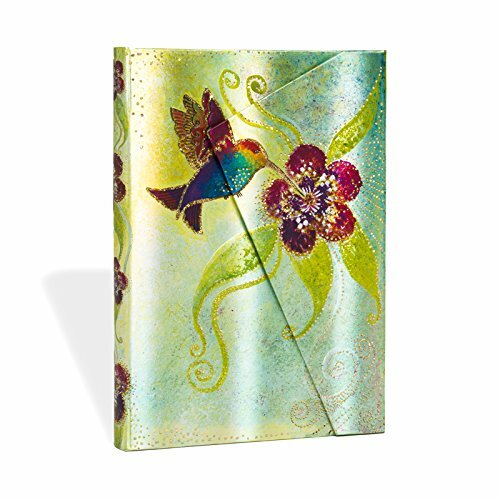 This Hummingbird blankbook is tiny -- just 4 x 5 inches (Mini), which is great for lists, or copying Bible verses, or prayers. I created one as a gift for a friend. I started it for her with 20 pages of my favorite Bible verses on the love of God. Once, by mistake, I ordered a Grande (8 x 11 inches) and I was really surprised by how it changed how I wrote and what I felt like writing about. I think it was the size of the pages that invited me to begin writing a biography. 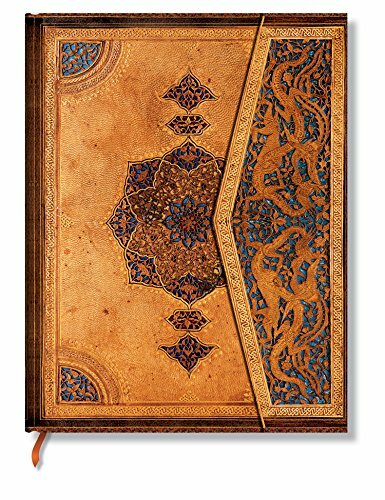 When you are buying a journal online, you want to buy one that is attractive to you or has a cover that has special meaning. Be sure to check the size, whether or not it is lined, if the paper is archival quality, and how it is bound. These are the most important decisions to make. And then decide if you want one that has a ribbon marker or pocket in the back.